Valuable inventory not enough content, valuable inventory: no content, valuable inventory: scraped content and valuable inventory: under construction are some popular Adsense privacy violation which people are getting these days. in this article, we will see how can we fix the valuable inventory: not enough content error. A day back, I have applied for Adsense on one of my client website. After this Google has sent this message to me. What does Google say about Valuable Inventory not enough content? What my client has missed? How to fix Valuable Valuable not enough content violation? websites dedicated to embedded videos from other hosts like Youtube, Vimeo or Dailymotion. templated or pre-generated websites that provide duplicate content to users. For more information, please review the AdSense programme policies, this help article about scraped content and Google’s Webmaster Quality Guidelines. So, after getting Valuable Inventory not enough content violation, I was thinking about what I have missed this time. before mentioning what have I missed. I would like to tell you what is required to get fast Adsense Approval. 1.You should have at least 20 posts on your blog. Make sure your blogs have more than 500 words. Self created featured image and the html structure should be maintained. 2. All the post should be written by yourself or by a content writer. Originality and uniqueness of a blog post matters for Adsense Approval. 4. Avoid using the stock images before getting Adsense. Once you get the approval then you can use stock or free images. You might contradict with me here. Many of you have told me that you have properly given the Image credit and the image you have used is free to use. They are not copyrighted. You are right. 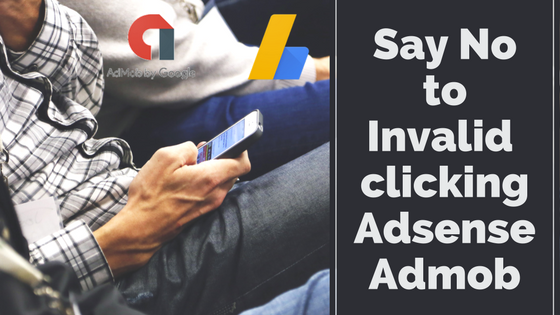 But, I would like to tell you when your application reaches to Google Adsense checkers then they will have enough information about your content. They will analyze everything including images, embedded videos, text, your website navigation, pre-used ads, and much more stuff. In this process, they will find that the images used are duplicate images. You know it’s free, I know it’s free but who will tell the AdSense analyzers. I hope you might got the point. 5. Make sure you have proper navigation on your site. Navigation means enabling breadcrumbs and maintaining a good menu structure. 7. If possible use a good theme or premium WordPress theme. After analyzing I have found that there are few things which were missing on my client site. Although they have 18 posts, proper site navigation, original images created by Canva and all required pages. The one thing that they have missed is originality of the content. Mostly the content published on their blog was legal and law forms and you know forms are reusable. So, basically, I have to remove them and have to focus on the uniqueness of the content. Once the Adsense is approved then they can continue with their own content. One more thing I found missing was the content in the about us page. They have written a very short paragraph in there about us page, which also needs to be fixed. 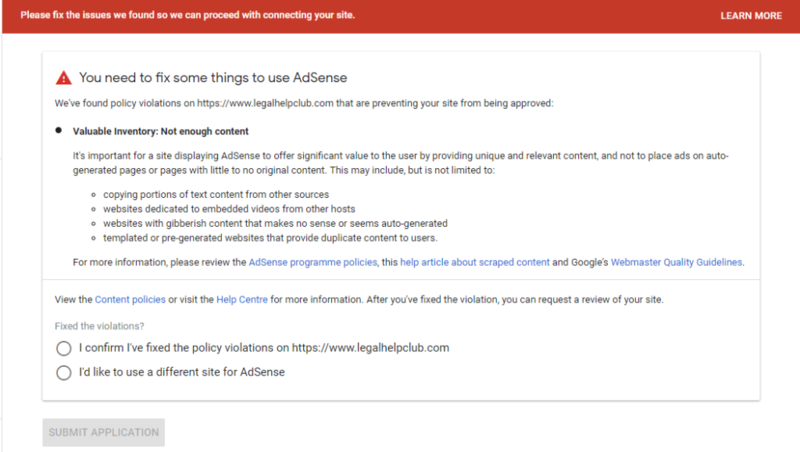 So, now the question comes what you need to do if you get the Valuable Inventory: Not enough content Adsense violation. There is a slight difference between Valuable Inventory: No content and Valuable Inventory: Not enough content. I think the word is enough to describe. No content means there is a lot of things missing which I have described above . Not enough content means things are in your control but needs a polish. So, i am describing here what you need to polish? If you have got the valuable inventory not enough content violation then make sure to go through this checklist. Once all marked fixed then apply again for Adsense. You will get approval in on go. Add some more fresh articles on your site. Try to write long and detailed articles. Check your navigation and verify the content structure and length of older posts. Keep your sidebar and footer engaged with good things like recent posts, subscription form, recent comments or some other valuable information. Try to use at least one relevant images in your post. There should not be any category in which there is no post. If you follow all the above-said strategies then you will be able to resolve valuable Inventory: Not enough content error. 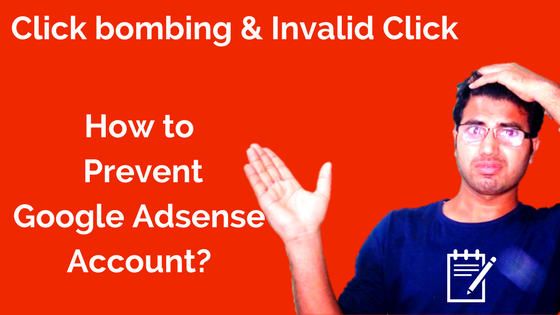 Adsense policies are getting tighter day by day. 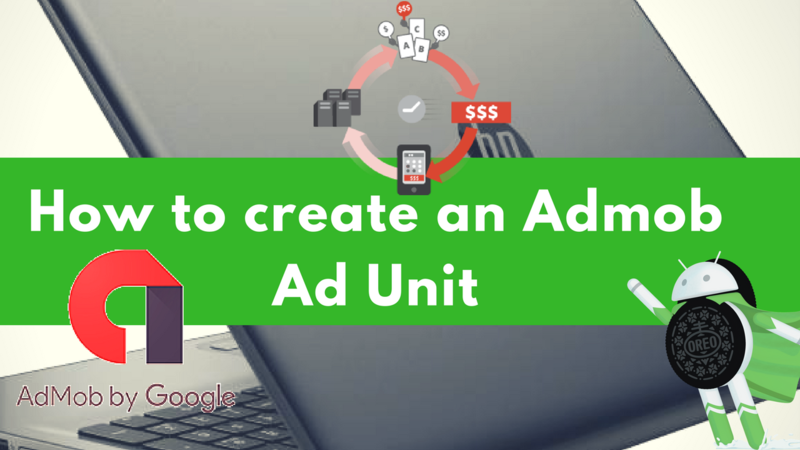 If you want to generate good income through Adsense then you should focus on creating good content. As content is the king and it will be forever. Only the way of the presentation will change in the future. Try to build your social image and solve people problems through your blog. rest things will come all together. I hope this post has helped you to know the fixation of valuable Inventory not enough content properly. If you found it helpful, feel free to share. If you still have questions in your mind leave them below. I would love to answer. Read next – How to perform Image SEO? ← How to Add a Custom 404 Error Page on Your Website?